Elections 2015: How Should a Nigerian President Look? Wole Soyinka and Traditional Forgiveness? After innumerable citizens indigenous to Lagos and the South-West in Nigeria roundly criticised traditional ruler Rilwan Akiolu, the Oba of Lagos, for his unfortunate ‘warning to the Igbos’, one should be impressed that there is hope in Nigeria even though not immediately convincing. The warning the Oba meted bordered on vicious tribalism and tribal cleansing. It demonstrated social and political maturity and sensibility in the South West that is alive, sensitive and robust. Wole Soyinka, who is Nigeria’s most influential intellectual, did not say a word. Wole Soyinka’s ‘moments’ have included his erudite acerbic histrionics of ‘forgiving’ military leaders of Nigeria for denying the country democracy and their heinous brutal style of ruling. Now the recent ‘moments’ of Soyinka are that President Goodluck Jonathan and other democrats have been entered into his ‘black book’ of ‘unforgivables’ till he ‘forgives’ them. But we also have Wole Soyinka ‘none moments’ which are the times he should have said something because it would matter but kept uncharacteristically quiet to serve his own interest or because it did not bother him. These silent ‘none moments’ can be very ominous in themselves. He ‘must’ have ‘forgiven’ the Oba of Lagos. Enter the dimension of Soyinka’s ‘traditional forgiveness’ Considering Soyinka’s most Olympian and acerbic criticisms of evil Northern military rulers, the ‘sinister’ and ‘clueless’ South-South president, backwardness of South-East politicians, the corruption South-South governors and certain of characterisations, it is amazing that he has not applied his pen or lips on Lagos leaders since 1999 with the same ‘unforgiving’ polemics. He has been totally surreptitious about allegations of hyper-corruption perpetrated by Asiwaju Bola Ahmed Tinubu and Babatunde Fashola, past and currents Governors of Lagos State, respectively. 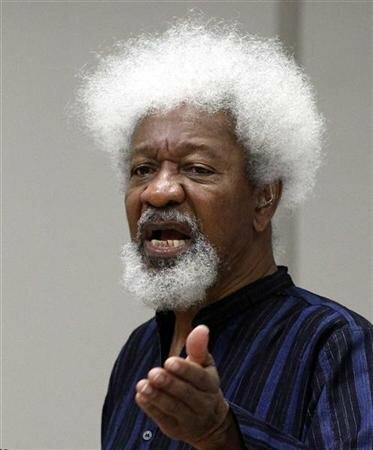 Now Soyinka who held the highly coveted title of ‘United Nation Ambassador for Human Rights’ has again become agnotological about something if perpetrated elsewhere in Nigeria or in the world he would have given his immediate and best slamming as an actual or predictor of human rights violations. He would have made a great ‘moment’ out it. What has been Soyinka’s take on ‘ethnic cleansing’, its early causes and actual acts in Rwanda and Yugoslavia? Accusing Wole Soyinka of being a tribalist is a cheap act. However, Soyinka did say publicly that he drove around Nigeria and saw that it was not ‘one nation’ and he did declare full support for the establishment of the Oduduwa Republic, which in themselves are not evidence of tribalism. Firstly, truth be said Nigeria is not one nation culturally or spiritually. Politically, the South-West is strongly paranoid about a South-East presidency and for the first-time aligned with the North; the North regrets the loss of rulership to the South and have recently regained it; the South-East feel so marginalised in national politics they are still simmering with secession; the list goes on. Secondly, declaring for Oduduwa Republic is a far more a nationalist or secessionist act than a tribal one. Still Soyinka has created much bias and division in the minds of Nigerians and foreigners either with his ever-capricious and ever-guontious ‘moments’ that are met with broad embrace or revolting disbelief and with his “Tell them say I no dey house” ‘none moments’. Many should think Wole Soyinka is above prebendal rents. As an intellectual Wole Soyinka is perfectly legitimate to be the “mad professor” or “crazy genius” but such is not the stuff of statesmen. The demands of statesmanship are far more boring than it seems; maybe much too boring for Soyinka. Constancy and consistency (with few deviations) in vision, values, speech, conduct, decisions, civic morality etc. are the stuff of statesmanship. « Wole Soyinka and Democratic Forgiveness? National Association of Seadogs: Capoon or Capone?